Contact us to share your personal vision for our community's health. When you make a gift of $10,000 or more, we consider it a major gift and you a major donor. You can count on your major gift being used as you intend and toward the fulfillment of Concord Hospital's mission. Additionally, you will be recognized for your support in the way you prefer and told how your support achieves its purpose. Major gifts are often the result of a match between a passion of yours and a priority of ours. The assets you use to make your major gift may vary. You can use appreciated stock, a whole-life insurance policy, an unexpected windfall or a year-end bonus. The timing of your major gift may also vary. You might make the full gift amount today, give parts of it over a number of years or combine it with a future gift from your estate or trust. An early detection, screening or prevention program you have envisioned and we know we want to establish. To help build one of the few existing training centers at Concord Hospital where real-life medical situations are imitated to improve care team performance. For a unique, comprehensive cancer survivorship program at the Concord Hospital Payson Center for Cancer Care. To help Concord Hospital patients recover through the enjoyment of visual arts, music, games and pet therapy. To build and outfit a retail shop that supports the needs of Concord Hospital Payson Center for Cancer Care patients and their families. To care for patients of Concord Hospital's Frail Elders House Call Program, while also providing advanced training to medical residents. To set up a permanent fund that helps support patients of Payson Center for Cancer Care with out-of-pocket expenses for gas or groceries. To honor the leadership of former Concord Hospital CEO Michael B. 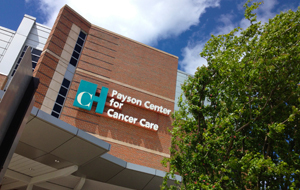 Green through a fund that provides perpetual support for two vital community health resources, the Payson Center for Cancer Care and the Concord Hospital Family Health Centers. To renovate and name Concord Hospital’s emergency and trauma facilities. To provide Payson Center for Cancer Care patients radiation treatment through specialized equipment and technology. To build a new Concord Hospital Pediatric Unit playroom, in memory of Sarah and Philip Gehring. To provide care to Concord Hospital patients who need it the most and can afford it the least. To use as needed the most, for improving access to medical care for our whole community. The major gifts referenced on this page are intended as a sampling only.